The U.S. International Trade Commission (ITC) ruled unanimously Friday that increased imports of solar cells and components are harming domestic manufacturers, opening the way for tariffs that critics say could slow solar growth in the U.S. The vote supporting Suniva and SolarWorld’s claim under Section 201 of the 1974 Trade Act moves the investigation to the remedy phase, which could give President Trump the foundation for implementing his “America First” agenda with tariffs and price floors on some imports. The commission also ruled unanimously that imports from South Korea “are a substantial cause of serious injury or threat thereof” and that no significant harm resulted from imports from Australia, Colombia, Jordan, Panama, Peru, Singapore or countries under the U.S.-Dominican Republic-Central America Free Trade Agreement (CAFTA-DR). Three commissioners found no harm from imports from Canada, while Chairman Rhonda K. Schmidtlein did. The companies say trade protection would aid domestic manufacturers and compel international makers to move production to the U.S., resulting in more than 100,000 new jobs. But Friday’s ruling drew condemnation from SEIA and others, who say it will harm the burgeoning industry. SEIA CEO Abigail Ross Hopper said the ITC’s decision disappoints nearly 9,000 U.S. solar companies and the 260,000 Americans they employ. “Analysts say Suniva’s remedy proposal will double the price of solar, destroy two-thirds of demand, erode billions of dollars in investment and unnecessarily force 88,000 Americans to lose their jobs in 2018,” she said. 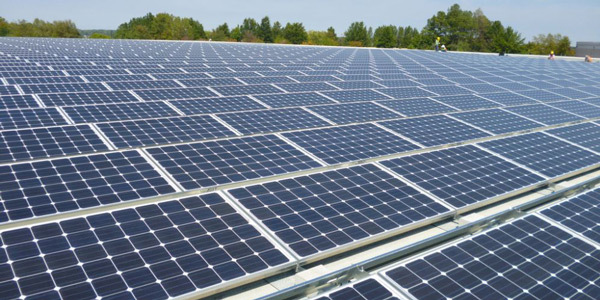 SEIA represents both companies that manufacture and those that install solar panels. The commission scheduled a remedy hearing for Oct. 3 and a vote on recommendations to the White House on Oct. 31, with the recommendations to be delivered to the administration by mid-November. The president has 60 days from delivery to decide on what, if any, measures he will take. The commission could recommend an increase in a duty, imposition of a quota, imposition of a tariff-rate quota (a two-level tariff, under which goods enter at a higher duty after the quota is filled), trade adjustment assistance or a combination of such actions. It could also recommend that the president initiate negotiations with the exporting countries. A report by Timothy Fox of ClearView Energy Partners in August said that a commission ruling in favor of the two solar manufacturers could represent an escalation in green trade disputes. “President Donald Trump would likely impose some degree of trade remedies that could undermine the value proposition of new solar projects and may likely reduce solar deployment over the next four years,” Fox said. The ClearView report calculated that the petition’s proposed 40 cents/W tariff and the proposed price floor of 78 cents/W would raise costs by 60 to 160%. The ITC estimated that nearly 30 U.S. solar panel producers went out of business between 2012 and 2016, the period investigated. During the same period, global imports grew nearly five-fold, a surge led by China, whose imports increased by more than 700%, according to commission figures. 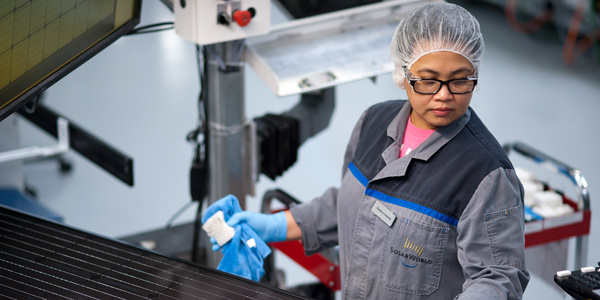 Suniva and SolarWorld filed their petition under Section 201 of the 1974 Trade Act, a rarely invoked article also known as the “safeguard” or “escape” clause. Global safeguard investigations do not require a finding of an unfair trade practice such as foreign subsidies or dumping. Although safeguard investigations are not country-specific, commissioners who find injury are required to make separate findings for countries with which the U.S. has free-trade agreements, including North American Free Trade Agreement signatories Canada and Mexico and the CAFTA-DR countries (Costa Rica, El Salvador, Guatemala, Honduras, Nicaragua and the Dominican Republic). 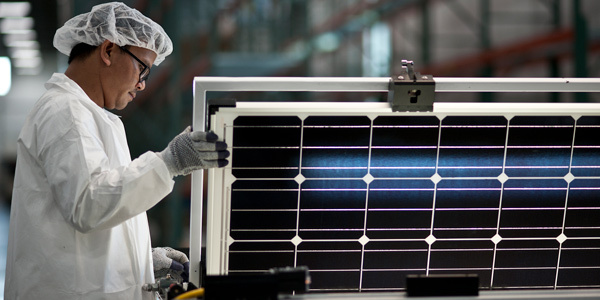 SolarWorld said in May that although anti-dumping and anti-subsidy duties have reduced Chinese and Taiwanese imports, global imports have continued to grow. “This surge mainly stems from substantial overcapacity added by Chinese-owned companies that located outside of China to avoid duties,” the company said. The safeguard authority was last used by President George W. Bush in 2002 to impose a tariff on imported steel. The levy was withdrawn 15 months later after the World Trade Organization ruled that it violated global trading rules. FERC clarified its EQR reporting requirements, emphasizing that transmission providers must report transmission-related data. RTOs will be required to align their settlement and dispatch intervals under new price formation rules approved by FERC. FERC on Thursday proposed changes to its pro forma large generator interconnection rules intended to increase certainty and transparency for new resources.